One of the most astonishing features of the Project it is almost entirely volunteer based. We employ only four full time staff to run the Project. Each voyage is run by the volunteer Afterguard, which normally consists of a Skipper, a Mate, two Watch Officers and two Watch Leaders. 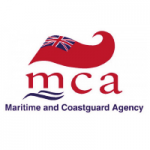 The Afterguard on the yachts are qualified for their rank as required by the Royal Yachting Association (RYA) and the Maritime and Coastguard Agency (MCA). It is a condition of sailing on the Project yachts that all the Afterguard have an up to date clearance with the Disclosure and Barring Service. The Afterguard is the collective term for the volunteers on the boat, and typically made up of 6 people. 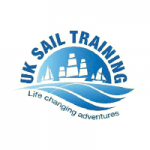 On a Sail Training Voyage (STV) there can be up to 13 young people, referred to as the ‘Crew’ or the ‘Trainees’, on board in addition to the Afterguard. The Trainees are normally divided into two Watches during the voyage. 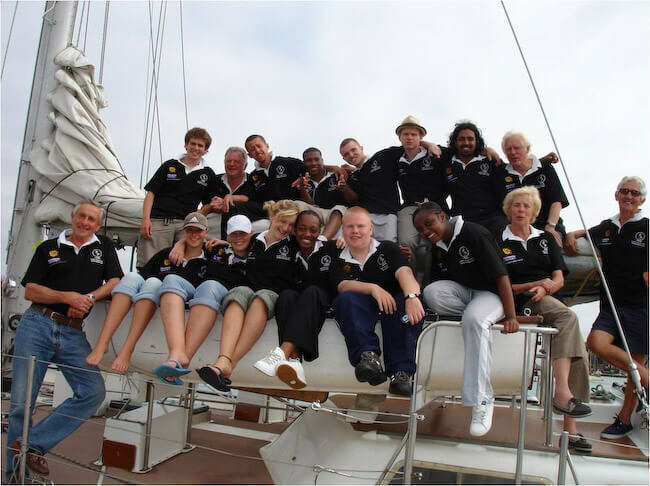 To be a member of the Afterguard, each volunteer is expected to participate in one refit weekend, one familiarisation voyage and one Sail Training Voyage per year. They are also invited to make a voluntary donation. Are you already a volunteer at the Rona Sailing Project? The Mate is second in command of the vessel. If for any reason the Skipper is unable to take charge of the boat the responsibility then falls to the Mate. Are in charge of the safe operation and navigation of the vessel when the watch is on duty. If the W/O is in any doubt as to how to do this then they must obtain direction from the Skipper or Mate. As well as our highly experienced Afterguard, the Rona Sailing Project has the onshore team who organise the voyages, fundraise and ensure the maintenance of the fleet! Bríd, who comes from Cork on the South Coast of Ireland, joined the Rona Sailing Project as Project Director in October 2014. After completing an MSc in Development, she started working in Africa, overseeing humanitarian response programmes. She subsequently spent 12 years working in a variety of contexts in West Africa, DR Congo, Chad and Lebanon. 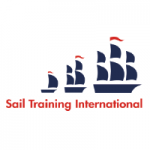 A lifelong love for sailing and an ambition and determination to work in Sail Training motivated her to gain her RYA Yachmaster Offshore ticket in 2012. Soon after, Bríd started working as Mate on traditional Sail Training vessels on the South Coast of England. Before joining the RSP, Bríd logged more than 20,000 NM. When she gets the opportunity, she volunteers in the RSP as a Watch Officer. Ann, who has lived in Southampton for the majority of her life, joined the Rona Sailing Project in 1998 as the part time Project Secretary. Before this she had worked at a commercial sailing school and then taken a sabbatical to raise her family. Ann’s role has grown alongside the Project and she became full time in 2003. During her time with the Project she has seen many changes and improvements, and has also taken up the opportunity to sail on a few trips in the position of Supernumerary. Outside the Project, Ann is involved with raising awareness and funds for Group B Strep Support, a cause close to her heart. Jason started with the Project in 1985, working alongside his father who was the Fleet Officer. Jason is the Project Engineer and as such has been involved in the build of both Rona II and Merrilyn. Before joining the Project he was a sheet metal worker. Jason has, on occasion, sailed as a Watch Officer in the RSP. Outside of the Project Jason has a passion for steam engines and motorbikes. Joe started within Universal Marina as an apprentice furniture maker working alongside Simon Harvey back in 2009, since then he has worked for the Yacht Care team as a yacht joiner as well as working self-employed for a couple of years to design and build a custom interior for a brand new 47-foot yacht. He has a passion for working with wood and building furniture for home improvement projects; as well as being an avid music fan and playing fingerstyle guitar self-taught for over 20 years. William has been a Trustee since 1995 and has been chairman since November 2012. He practiced shipping law as a barrister after university in Italy. He has cruised and raced various boats onshore and offshore. Alan joined the Project in 1962 as a Watch Officer. He became a Skipper in 1963 and Skipper Emeritus in 2006. He became a Trustee in 1987. Alan read Law at university. His career was in the printing and packaging industries. Alan was a Sea Scout. Giles has been a Trustee since 2002. He is a barrister by training with careers in banking, business and private equity. He managed the fundraising for both Merrilyn and Lady Shona. He has sailed many classes of dinghy from Laser to Hobie Cat. Duncan joined the Project as a Trainee in 1971, becoming a Skipper in 1985 and a Trustee since 2005. He worked as a chemist at the University of London from 1978 – 1984, then joined the Pharmaceutical Industry working for Wellcome (later Glaxo Smith Kline). Chris joined the Project in 1969 as a trainee, becoming a Skipper in 1980. He became a Trustee in 2012. Chris studied construction management and has worked for residential developers. He was a Sea Cadet. Billy became a Trustee in 2012. He read Business Management at University. After 10 years at an investment bank he now runs his own business in London marketing investment funds. Becky became a Trustee in 2013. She is Chief Executive of East Sussex County Council and has worked in local government throughout her career, primarily in London, before moving to East Sussex in 2000. She read Politics and Economics at Bristol University. Dawn became a Trustee in 2013. She currently works within Education in Hampshire. Prior to this, Dawn was involved in maritime events, including Tall Ships Races, and also worked at the Royal Yachting Association promoting opportunities for disabled sailors. Dawn enjoys cruising with her family. Chris joined the Project more than 25 years ago as a ‘Supernumerary’ and has been a Skipper since 2000. 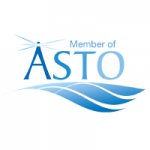 Having initially qualified as a Chartered Engineer, Chris moved into Human Resources and for most of his career worked for a major contractor in the Oil Industry with a particular focus on International Projects. Chris lives in Yarmouth on the Isle of Wight where he races a Folkboat and is frequently on the quayside to take the mooring lines of the Project boats when they visit. Andy started his outdoor education career as a kayaker, but in 1993 was introduced to the Rona Sailing Project and after his first voyage received an Amory Award and was recommended for Watch Leader training. This started his passion for yachting, coaching and volunteering with the RSP. Andy became a Skipper in 2007. 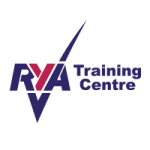 Andy is now a self-employed Maritime Trainer and holds the RYA Yachtmaster Instructor Trainer appointment, amongst other RYA qualifications.